Baxojayz - Centricity: Review Tuesday: All things ABADDON HOTEL!!! Review Tuesday: All things ABADDON HOTEL!!! Located in Lehighton, PA, it's kinda in the middle of nowhere adding to the creepiness of the place. It's an unused hotel that was re-purposed as a really fun haunted house. We had a very good time there. We were shocked! This "found footage" horror movie was filmed at the same place! We sat there pointing out all the "scares" and "freaks" as many were still in the same spots for our visit as they were in the film. After we saw it we decided we wanted to go BACK to the hotel again this year to see all the details all over again. But ah ha! A SEQUEL came out earlier this year! After the events of Hell House LLC, another crew decides to go back to the Abaddon Hotel to find evidence. This movie is another conglomeration of film pieced together from various shows, youtube vids and, of course, found footage. 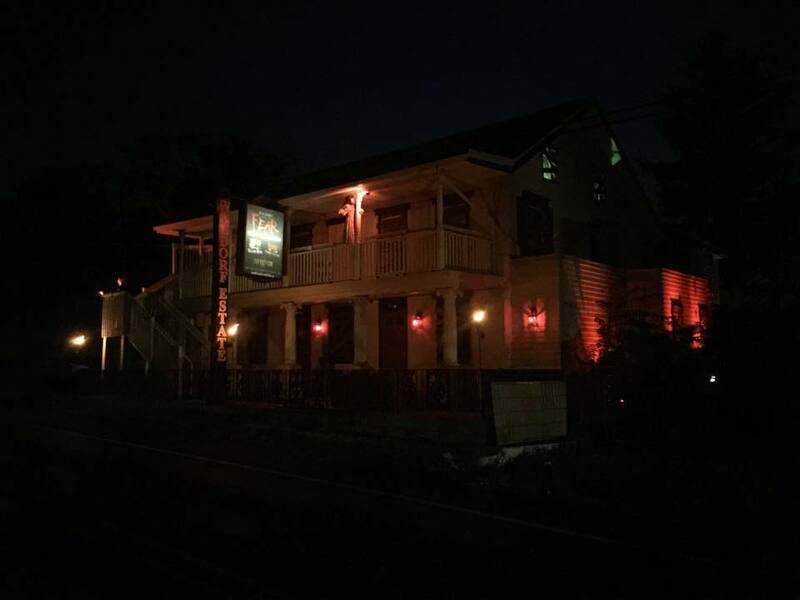 The hotel became a magnet for strange occurrences after Hell House LLC went to market. Of course people are going to want to know what was really going on! Another crew picks up the torch to search for answers and ventures back into the Hotel with catastrophic results. It was more of the same, but still fun because it let you in on more of the backstory and, ultimately, what is REALLY going on in that place... and what will CONTINUE going on. A good time and worth the time you invest in watching it. After watching the movies we were ready to go BACK to the place where it was filmed. We were there October 27, 2018 and were FIRST on line to get in that night. The place if very much like the movies still, but even from our or memories of the film and our previous visit, there were some distinct differences. The tour must take a good 15 minutes and it's chock full of chills and scares. Of course, you will also get to meet some of the freaks from the movies IN THE FLESH!